RingResponse™ meets the demanding requirements of inside salespeople, enabling them to move quickly from outbound dial campaigns to managing and transferring inbound calls. The performance of inbound calls are tracked from any marketing channel, improving call conversion and lead quality. RingResponse will ensure every call is prioritized, routed, and answered by a qualified salesperson. 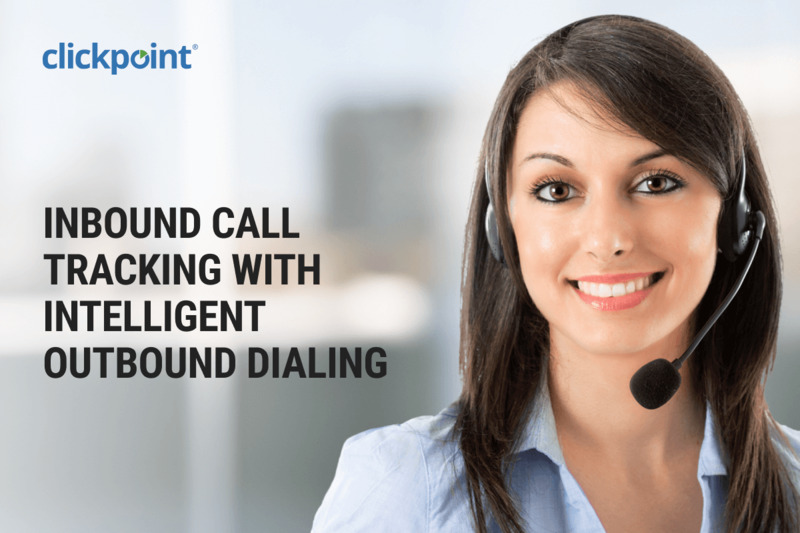 Outbound dialing with RingResponse will elevate your sales team enabling them to make more dials, have more meaningful conversations, and surpass their sales targets. Call Flow designer provides a visual map to create call trees which direct callers through queues, to various locations or teams based on criteria or call distribution rules. The call flow features include: upload audio, text to speech, call forwarding, redirect, criteria, hang up, play/say, gather, and time constraints. Port your existing phone numbers or purchase new numbers right from the solution. You can pick local or long distance numbers in the United States and Canada. Queues include salespeople, locations, or customer support agents. Within each queue, an inbound call routes to the next available agent or the entire queue group. Queue Features: hold time, hold music, announce callers queue position, and offer a call back based on queue hold time. Convert typed text to speech from the call flow editor. The text to speech feature eliminates the need to pre-record voice options for keypress prompts throughout the call flow. Add a pre-recorded introduction message that plays for a caller helping to keep them on the call until greeted by a live salesperson or customer service associate. SalesExec with RingResponse knows when salespeople are not available for a call or a web lead, and can increase available leads for salespeople that are winning the most deals. These features enable managers to rapidly scale sales teams by reducing manual and tedious tasks. Whisper allows a message to play when a user receives an inbound call before the connection. The whisper message plays while the phone is ringing and allows the user to decide if they want to accept the call. Supervisors can edit call flows and add and remove users from a queue. There is also the ability to restrict supervisors from these functions. Barge allows supervisors to jump into sales conversations for training purposes. The barge feature is useful for sales coaching, assisting with a sale, as well as ensuring that salespeople are compliant with company sales policies. Preview Recorded calls and playback with no storage limits. SalesExec and RingResponse does everything from suggesting the next best lead, allocating leads within state calling hours, prioritizing leads that need attention, and highlighting leads that are responsive. Salespeople can quickly pivot from outbound dialing, moving quickly and responding to inbound calls. As salespeople are making outbound calls, they have an option for leaving a pre-recorded message once they get an answering machine. The feature makes dialing more efficient as salespeople can quickly move to the next lead without wasting time on messages. Users can transfer a live call to other team members inside of a queue or outside of queue if configured properly. View available agents, salespeople, and queues in real-time improving transfer rates. Provide the salesperson with the next best lead based on a variety of preset criteria. RingResponse will then screen pop the lead information along with a sales script, notes, history, and other vital information to assist the salesperson with the call. Help junior salespeople quickly understand your sales process and enable them to make more calls with confidence. Salespeople can select a list of prospects to dial sequentially, and RingResponse will efficiently move to the next call and dial the prospect. Select any prospect in the SalesExec lead manager and call with one click. Ensure your team makes calls to states in compliance with state calling hours. Notification of a new call delivers in real-time to team members in a queue. The first salesperson to answer the call will connect with the prospect. A method of call routing that will look for available users in a queue and attempt to deliver calls sequentially. Call forwarding allows external call forwarding in the case where queues or team members are not immediately available. Criteria selections are useful for routing calls when users select keypress options. Other criteria options include: area code, state, and information gather by utilizing reverse 411 to determine the origin of the caller. Create text messages to be used by any team member with opt-out and compliance features. Send consent request before new messages are delivered and include opt-out on every text. Manually deliver text messages or set a text message to be delivered as part of a lead nurture strategy. Track texting conversations as well as customer responses and view statistics in reporting. There are many out of the box reports that help administrators understand how lead sources or salespeople are performing. Call reports provide insights into local and toll-free numbers used in marketing campaigns. Track performance by the salesperson and by the numbers used in marketing campaigns. Track transferred calls, abandoned calls, call response time, and results from both inbound and outbound calls. Nextiva is a Cloud Communication and business phone service provider. RingResponse is integrated so that outbound and inbound calls sync with the Nextiva application. RingResponse features a self-documenting REST API. The REST API makes it easy to make changes to lead and call data, as well as access data for third-party applications. ClickPoint Software is committed to improving the lives of salespeople and their managers by creating sales software that enables sales teams to generate more revenue for themselves. ClickPoint is actively transforming sales organizations through the implementation of their products; SalesExec Lead Manager™, SalesExec RingResponse™, and LeadExec Lead Distribution™. Not just a software company, ClickPoint employees embody a shared commitment to the success of every customer by providing amazing support. From its headquarters in Scottsdale, Arizona ClickPoint has been empowering companies both large and small to dial more leads, sell faster and more efficiently, which leads to more revenue and commission. This entry was posted in ClickPoint News on September 20, 2018 by ClickPoint Software.